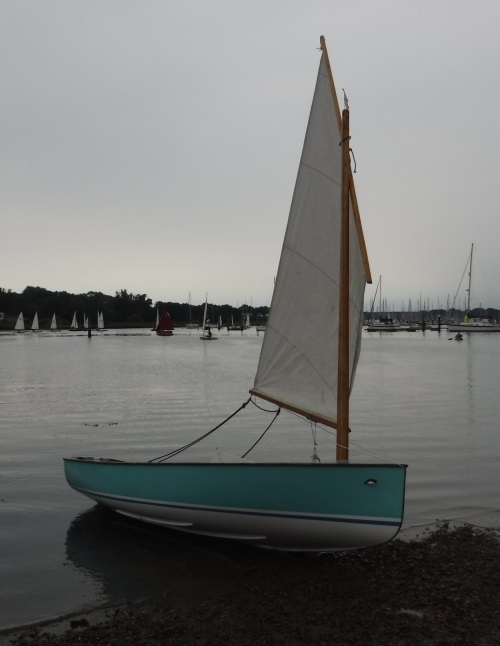 The first yacht I owned was a Caprice Mk V, a GRP version of the Robert Tucker bilge keel, sloop originally designed for plywood. 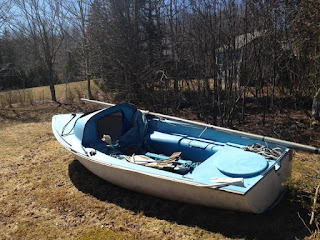 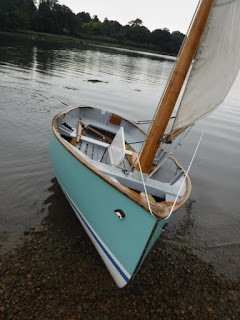 I was in my 20's, it was affordable and I had read Shrimpy, Shane Acton's account of sailing around the world in an early plywood Caprice, not that I had those aspirations at the time, but it seemed like a good recommendation of a tough little boat. 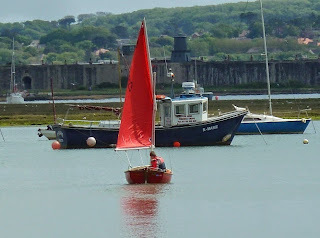 The reality was perhaps a little different, and while it was great fun, it was also tiny, to use the toilet you had to have your head sticking out of the fore hatch, and the performance of those twin keels wasn't great. 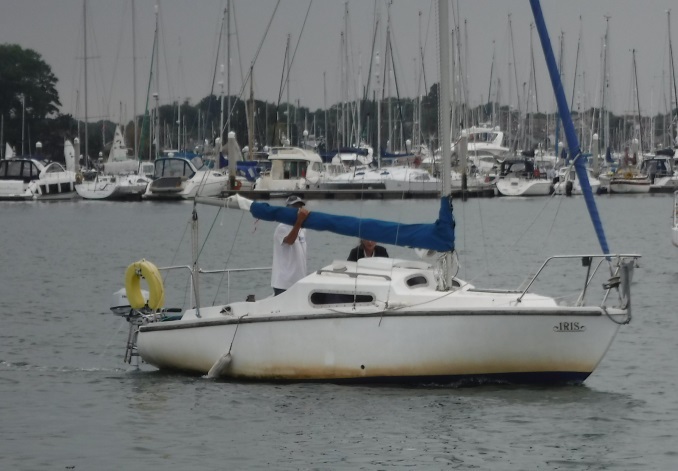 That said it was a great entry into to sailing, cheap and affordable and I learned a lot. 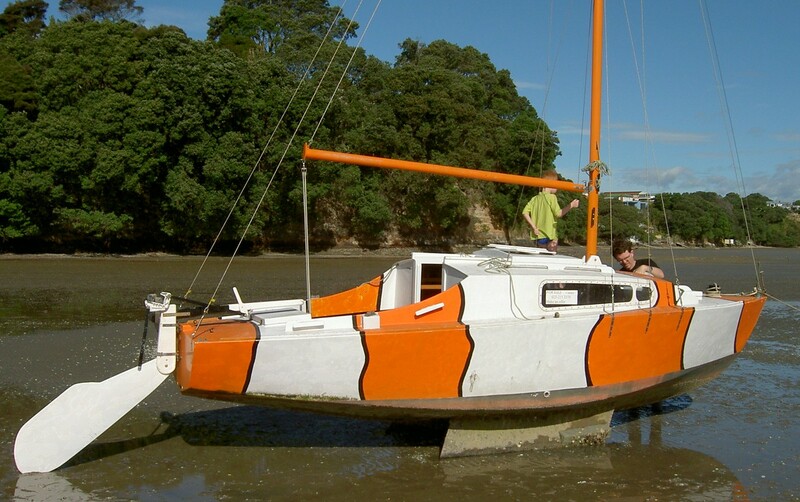 I found this on boatdesign forum from a few years ago, a modified Mk2 guaranteed to start a conversation in any anchorage. 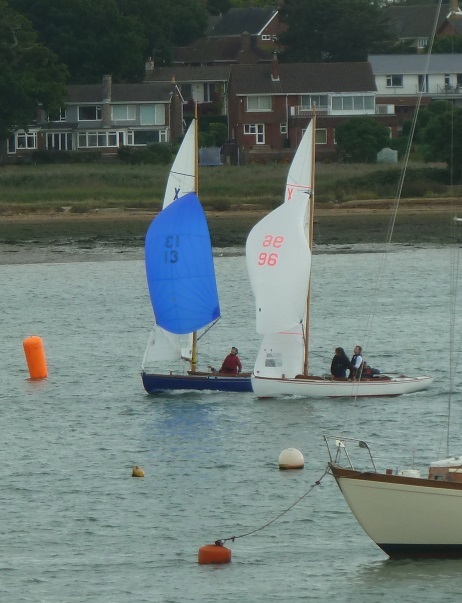 The Royal Southern YC hosted the Hamble Classic regatta at the weekend, with a finish line for some of the classes in the river, so we found an upstairs table at the Beach Hut Cafe to watch the action. The XOD fleet were the next to finish, working their way up the crowded river. Not the leaders but these two finishing neck and neck. 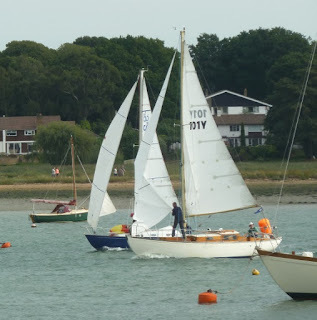 It seemed like the gaffers and bigger boats had the finish line out in Southampton Water, but we got to see them returning to he marine. 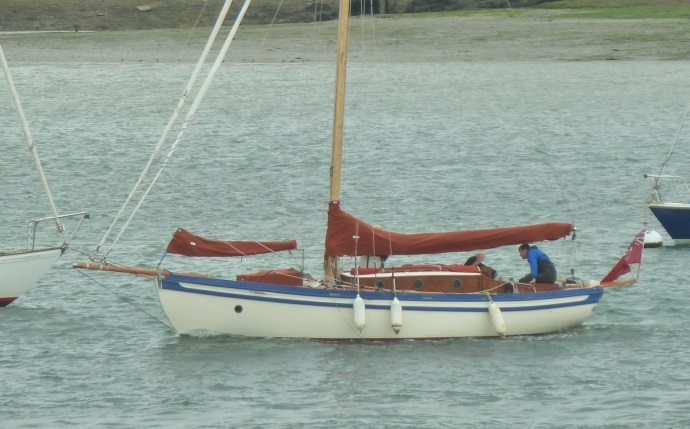 This looks like and Ed Burnett design modern gaffer. 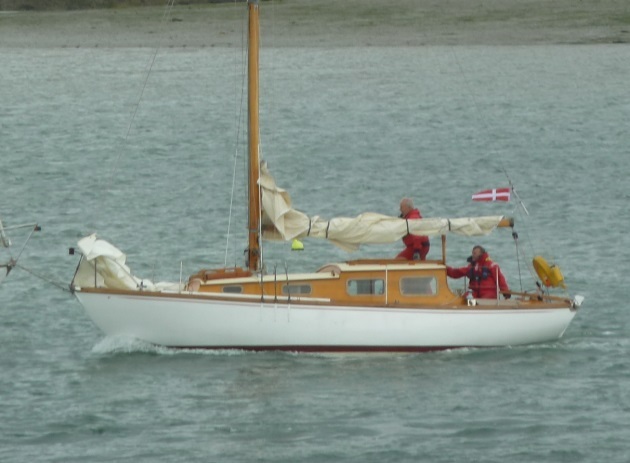 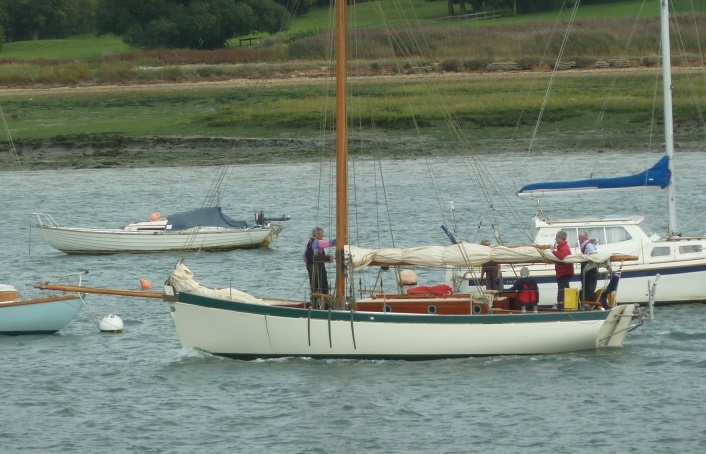 Definitely an original gentleman's yacht, Thalia with full crew. 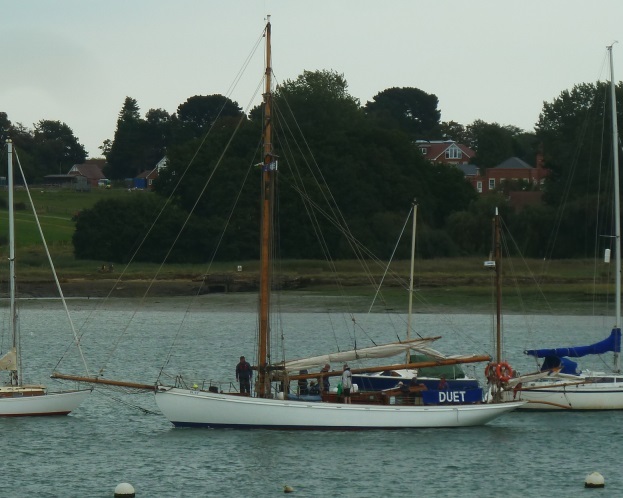 Another local boat, which I think is a Harrison Butler. 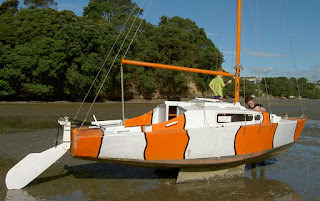 And another very local boat SCOD, South Coast One Design. Duet looks lovely if a little complex. 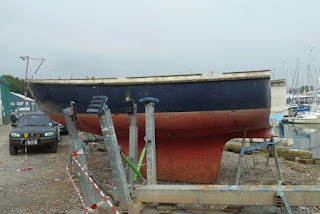 There's often something interesting walking our local boatyards,but this was pretty unusual, an abandoned yacht being cut up very sad. 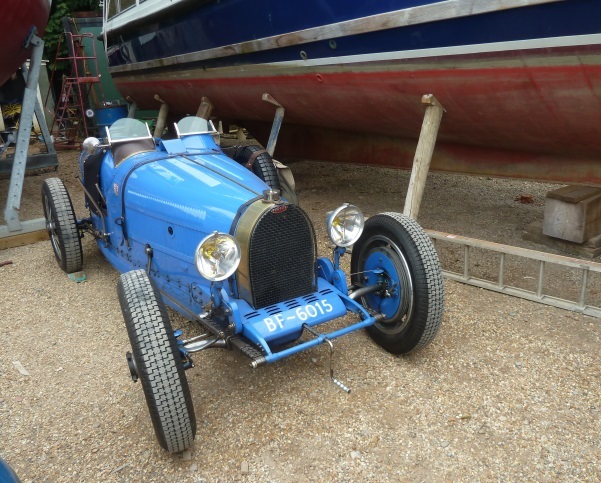 More upbeat, a genuine Bugatti Type 35? Just the car for nipping down to the boat with your overalls and a few tins of anti foul paint. Progress on Greg's gaffer hasn't made as much progress as he'd hoped, but the cockpit and coach roof are looking very nice. It's really tricky taking photos inside the tent, but you can see she's coming on well. Midday HW down at Keyhaven with a good showing of boats launching from the two adjacent sailing clubs: Keyhaven SC and Hurst Castle SC. 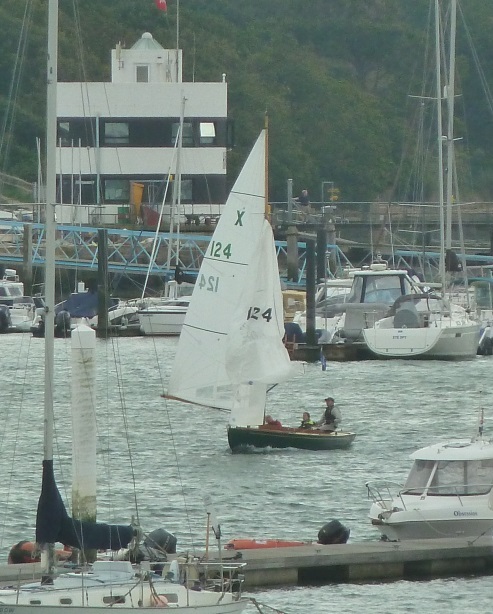 Above a Wanderer dinghy makes it way through the moorings along the harbour wall. 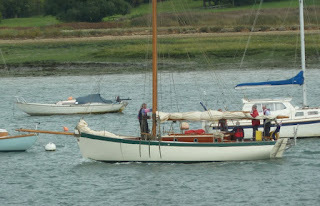 While below a SCOW heads out towards Hurst Castle. 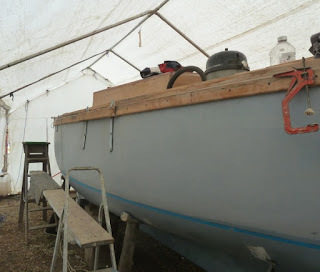 I managed to talk to a few of the SCOW sailors and get some advice for rigging Erica's SCOW which is nearly complete. 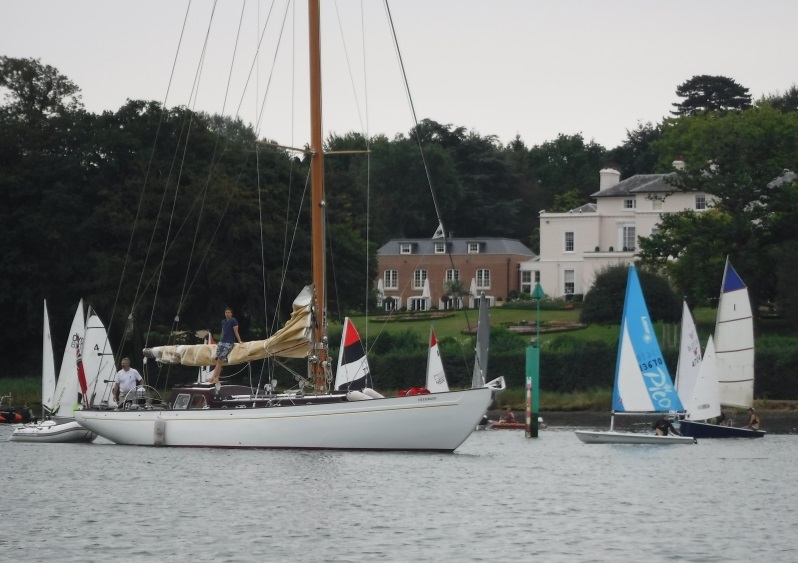 One of the loveliest local classics, Cetewayo navigates carefully around the dinghy start at Bursledon regatta recently. 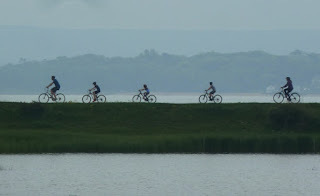 With Brooklands in the background it's a picture perfect setting. 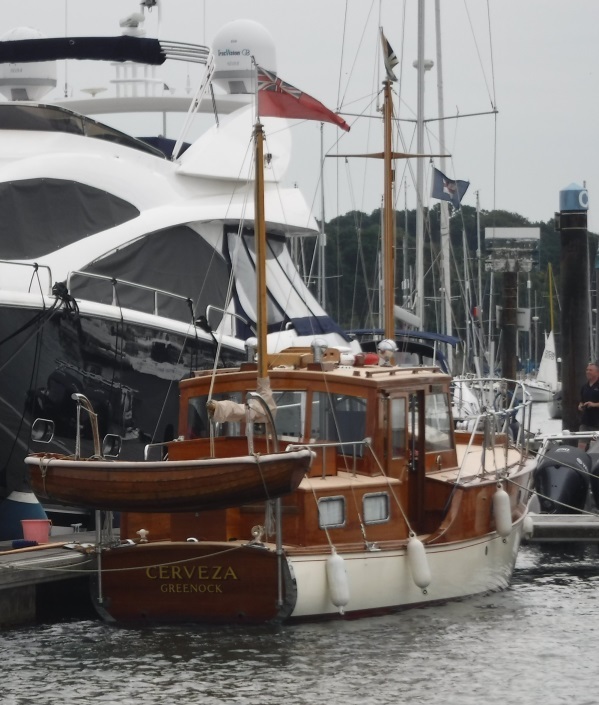 Apparently Cerveza didn't qualify to be described as a "gentlemen's yacht" because she was built for a Scottish butcher before the war, trade money not inherited, how's that for nautical snobbery. 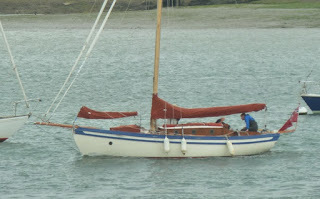 Fortunately the current owner, however he makes his money takes very good care of her and is very approachable. 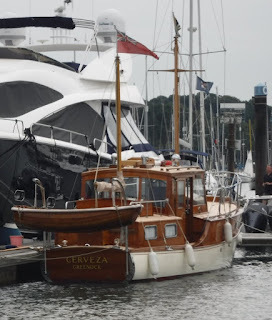 He was chatting to some friends of mine in the marina recently telling them about her history, Apparently Cerveza saw service during WWII patrolling the mine fields off the west coast of Scotland. 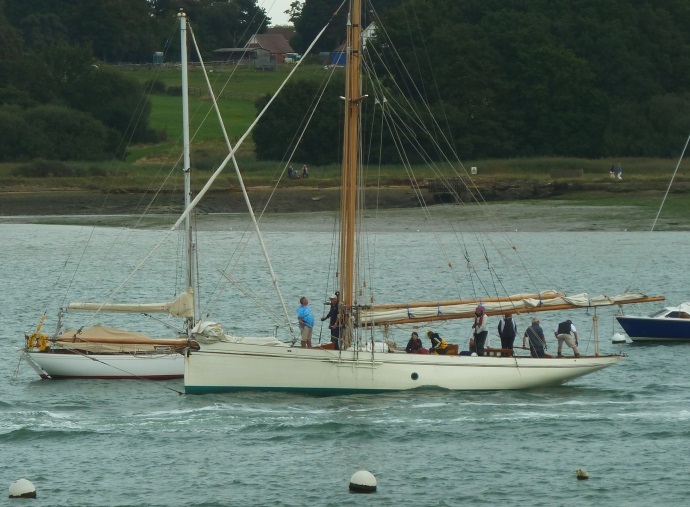 She's been sunk twice but clearly survived, thankfully. Just lovely. 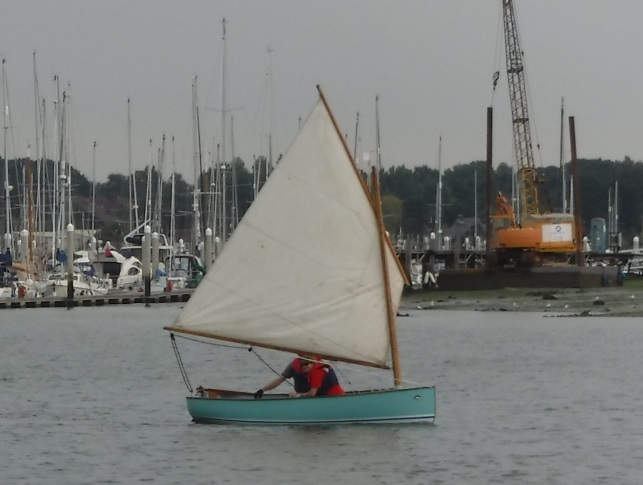 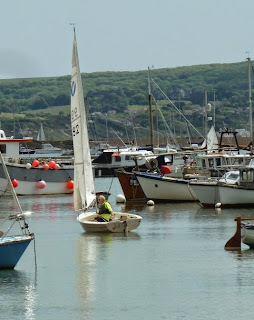 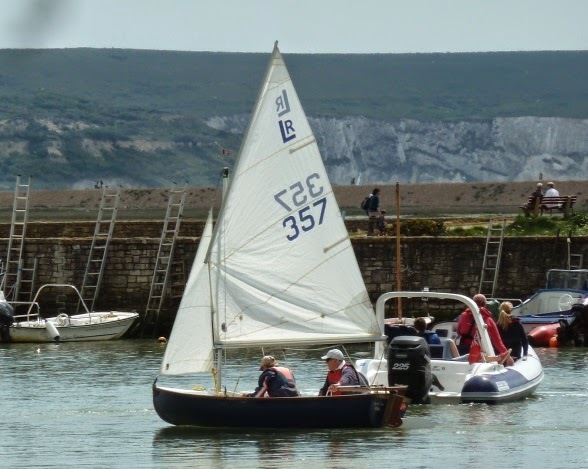 There's been some developments in the rare world of the Illingworth & Primrose designed Tricorn dinghy (only around 37 or so were built) which have previously been featured both on this blog and 1001 Boats. 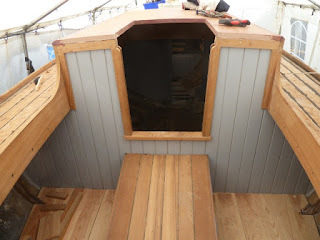 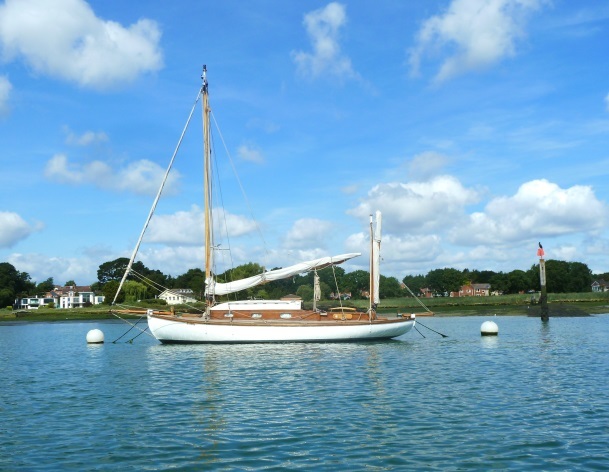 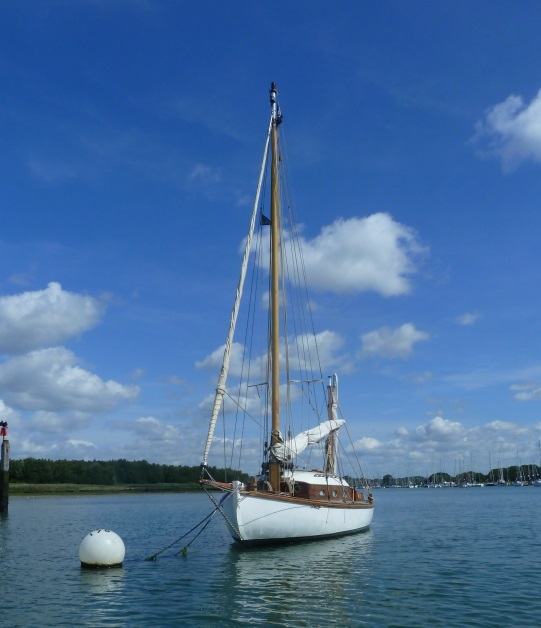 Fellow author on 1001 Boats, Patrick has been restoring and sailing his Tricorn Salvo over in France and she looks very smart, there are many more pictures of the boat and the restoration here. 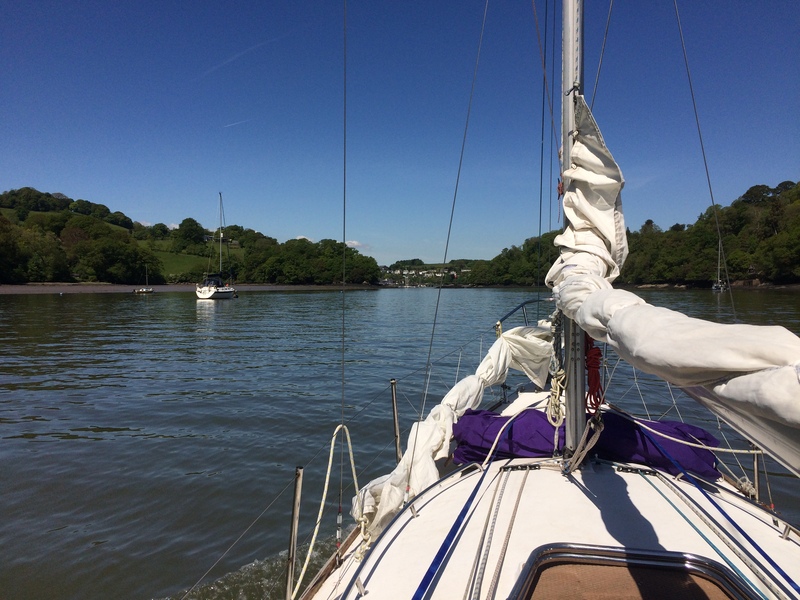 As a cruising dinghy it's a really interesting boat, while it's a little dated in style and detail there's actually not much that compares today. I've seen this boat before, but only recently had the opportunity to chat to the owner, who was launching at Swanwick hard for Bursledon regatta. Built as a one off in the 1960's the hull was based on the Firefly, although in this case cold-molded rather than hot molded which was the norm for production Firefly's. 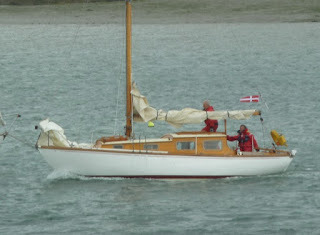 The single lugsail is also a departure from Uffa Fox's design which was originally drawn in 1938. The result is very pretty, presumably light weight and simple to rig, all in all a delightful dinghy. 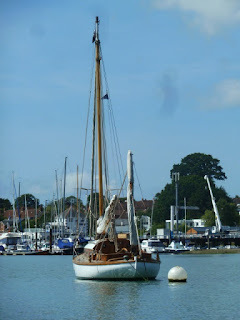 I've featured Snippet before back in the chilly winter days of 2012, so it was great to see her out on the water during the summer, even if not actually sailing.